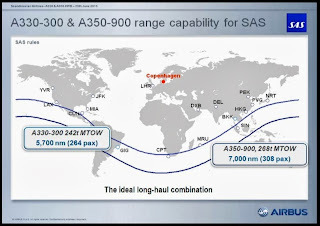 A350 XWB News: Scandinavian carrier SAS signs a MOU for 8 A350-900 XWB the week after Paris Air Show. 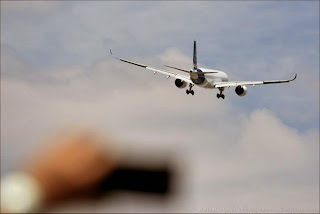 Scandinavian carrier SAS signs a MOU for 8 A350-900 XWB the week after Paris Air Show. 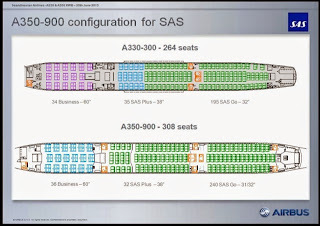 Scandinavian carrier SAS has signed a Memorandum of Understanding (MoU) for 8 A350 XWBs (with options for another 6 aircraft) and 4 A330s, as part of its strategy to modernize its fleet with more fuel-efficient aircraft. The agreement was signed in the Nowegian capital, Oslo. 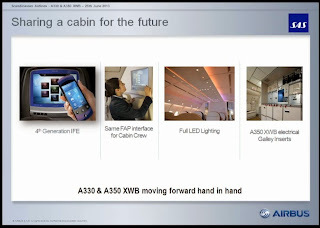 The new A350-900s and A330-300s will join the airline’s existing fleet of 30 Airbus aircraft. With the announcement today, SAS initiates important measures to secure a modern and efficient long haul fleet with state of the art aircraft technology from Airbus. “I look back at an extremely eventful year for SAS with tangible results. We have introduced, delivered and will continue to deliver on our important plan for a profitable SAS. We have launched more than 50 new routes and a completely new customer offer. 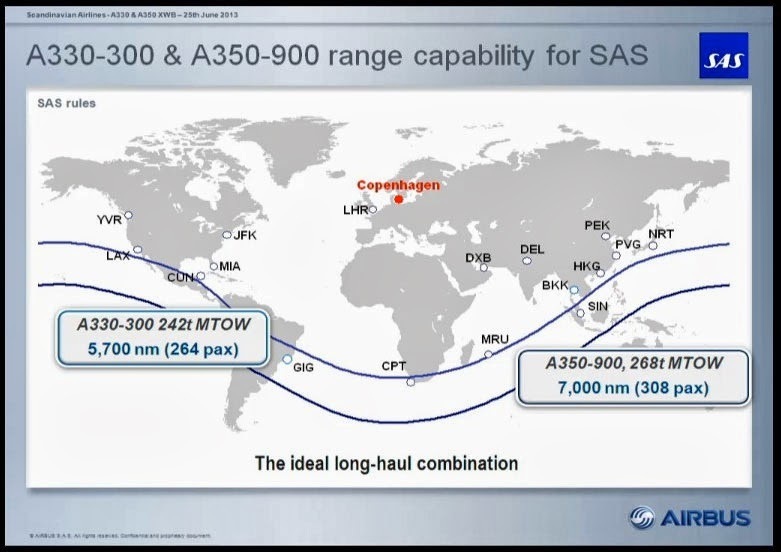 And now we present a highly competitive long haul plan which will allow SAS to continue our proactive efforts,” said Rickard Gustafson. 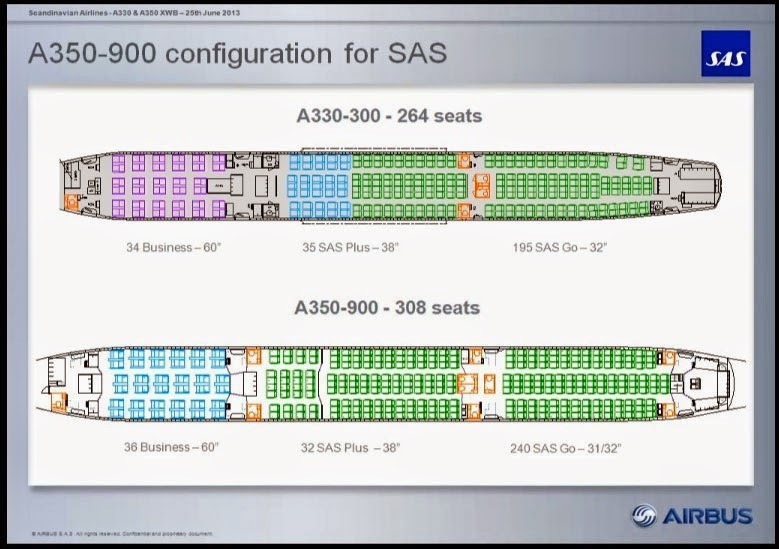 The A350 will be delivered to SAS starting 2018 and meanwhile the 4 A330-300 Enhanced will be delivered to SAS starting 2015. 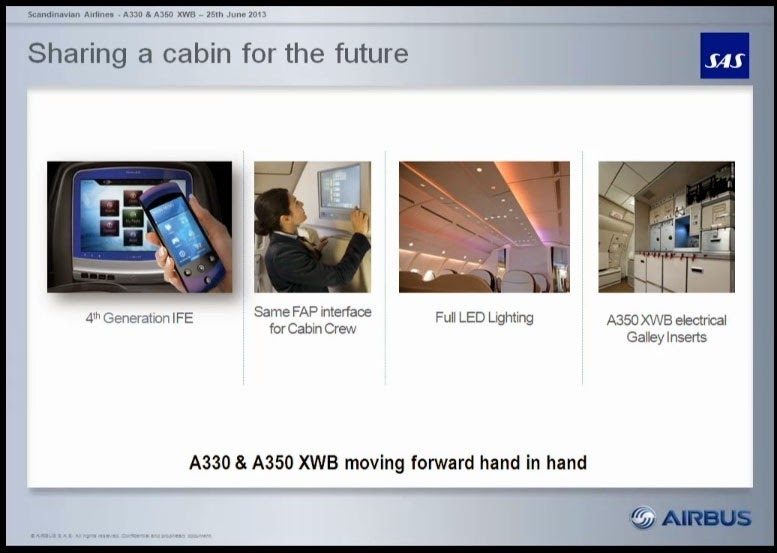 As a future SAS y- passenger i would prefer the 330 configuration both in Eco and Eco plus!